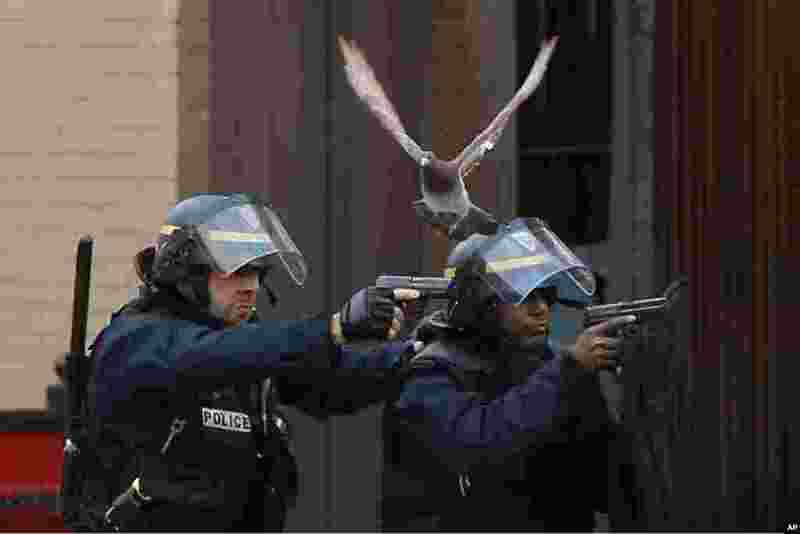 1 Police forces operate in Saint-Denis, a northern suburb of Paris. Police say two suspects in last week's Paris attacks, a man and a woman, have been killed in a police operation north of the capital. Five police officers were injured and a police dog named "Diesel" was killed in the standoff. 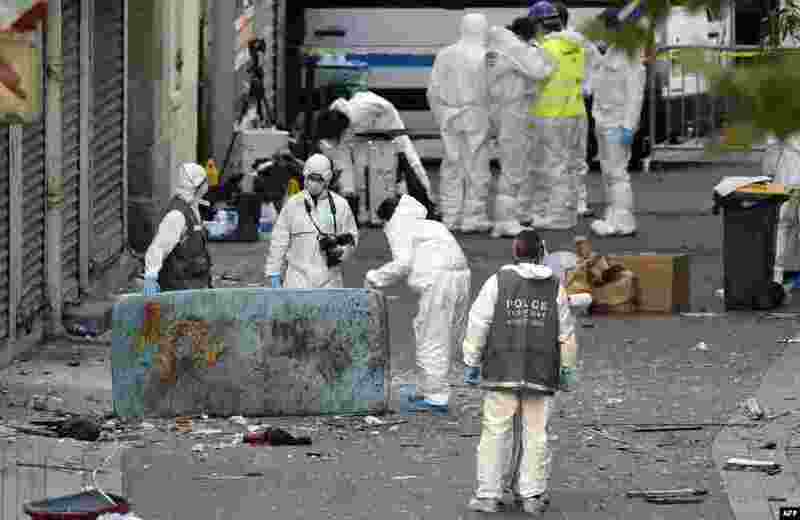 Police have said the operation is targeting the suspected mastermind of last week's attacks, believed to be holed up in an apartment in Saint-Denis with several other heavily armed suspects. 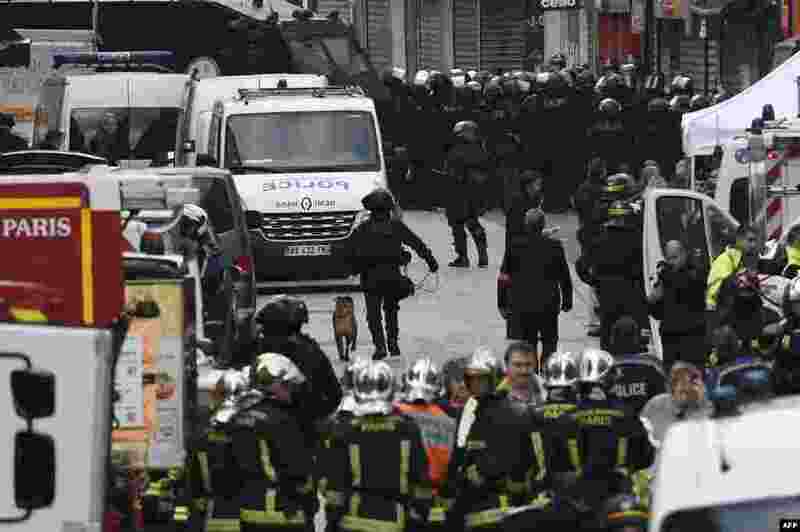 2 A police dog "Diesel", center, is seen before he was sent to an apartment to sniff out explosves in the northern Paris suburb of Saint-Denis, as French Police special forces raided the apartment hunting those behind the attacks that claimed 129 lives in the capital five days ago. "Diesel, a seven-year old Belgian Shepherd, a female assault dog was killed by terrorists during the operation," according to the Twitter feed of French police. 3 Forensic units of the French police search for evidences outside a building in the northern Paris suburb of Saint-Denis. 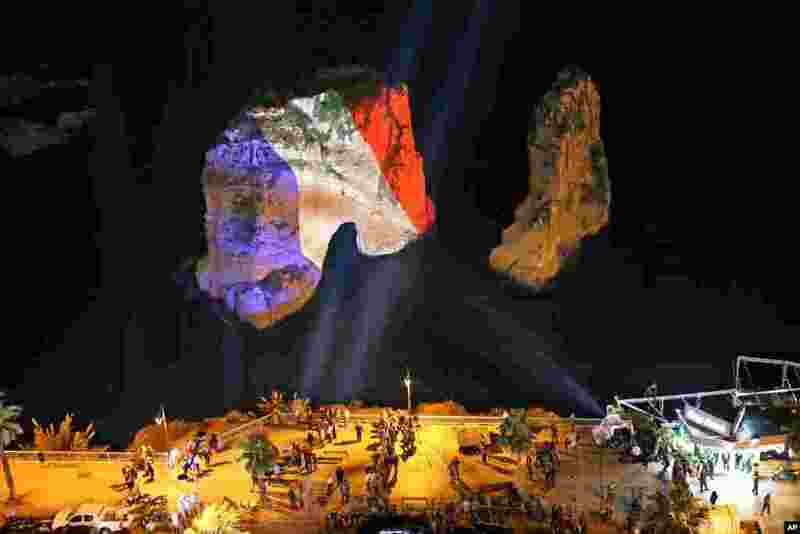 4 The landmark Raouche sea rock in Beirut, Lebanon, is illuminated in the colors of the French flag to show solidarity with France after the attacks in Paris.